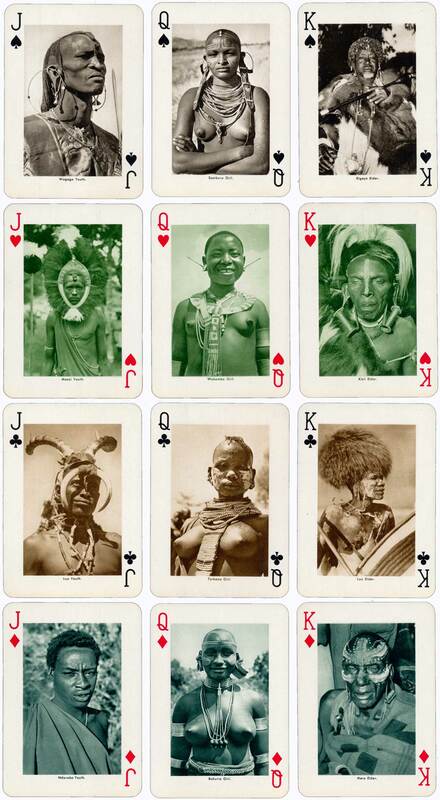 East African Playing Cards by Heraclio Fournier S.A., 1st edition with different monochrome colours in each suit, published in 1957. 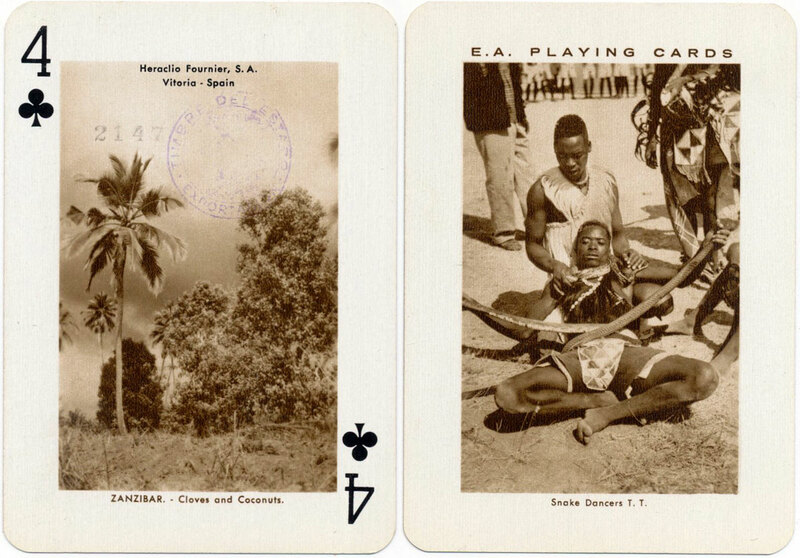 Above: East African Playing Cards by Heraclio Fournier S.A., first edition, 1957. 52 cards + 2 jokers + title card + explanatory booklet in mock felt slip case. A second edition was published in 1964 with all cards in the same monochrome colour. Images courtesy Matt Probert. Ferro Torrelles, Victor: Variantes en los Naipes de Heraclio Fournier, La Sota No.12, ASESCOIN, Madrid, Feb 1995.